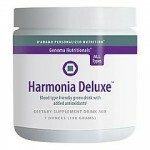 CLICK HERE TO ORDER BLOOD TYPE PRODUCTS TODAY ! A person’s blood type is a genetically determined, scientific marker which individualizes us from one another. The blood type diet is a system based on utilizing specific foods and nutrients for particular people / blood types in order to enhance or improve ones overall health status. Correct eating and eating right for your own personal needs is a crucial element for achieving optimum health. However, in today’s fast paced society achieving optimum health can be a rather difficult task. The blood type diet on the other hand is an easy to follow system for anyone wanting to eat more specifically for their own individual needs. It is a system that enables the individual to build their awareness of foods and how they affect us positively and negatively. Why has the Blood Type Medicine become so popular? Well the fact of the matter is that we as human beings have lost touch with ourselves. We rely too heavily on the media and products advertising to understand what is good for us, we are told eat this cereal it gives you this, eat this muesli bar it gives you that. We are also told by Doctors generally to follow certain diets for particular health problems, for instance heart disease patients are told to cut out saturated fats and reduce cholesterol from their diets. These recommendations are all ok however we need to get more specific in order to increase the propensity to heal. You body is so highly sophisticated that it tells you what it needs. 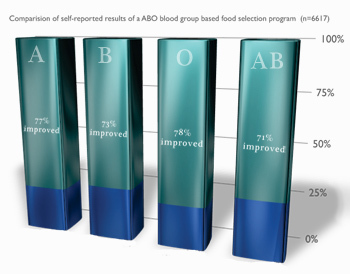 Most people who stumble across the blood type diet resonate with it because it makes sense. It resonates with our humanly instincts which tell us what is good for us. This helps patients get back to themselves, which is usually the reason they got sick in the first place. Animals for instance when they are looking for food often smell to see what is good for them before they consume . They know what to eat when they are sick also. Just like other animals, human beings are designed to smell and or sense whether a food can help or hinder our health. Numerous people on a daily basis are realizing that what is good for goose is not always good for the gander. The reason for this is we are all individual we all have different needs and they need to be honoured. And the list goes on and on……………. In order for people to get back to optimum health they must listen to what feels best for themselves as individuals and getting Blood type specific is a great place to start. As mentioned the blood type is a genetically determined marker that gives us one level of individuality that we can work with to enhance our health. Often many people find they are doing the right thing most of the time and that the blood type diet merely helps them fine tune and get back to themselves further. However other people are not eating blood type specific and have lost sense of themselves to some degree often resulting in poor immunity and frequent chronic issues. In terms of disease management getting individually specific is crucial for the best prognosis, not only are humans all different, but the way we express our diseases and fight it is also different. Therefore should we treat all disease and people the same? Click here to check out our range of right for your type (blood type diet) supplements.